Twain was born shortly after a visit by Halley's Comet, and he predicted that he would "go out with it", too. He died the day following the comet's subsequent return. He was lauded as the "greatest American humorist of his age", and William Faulkner called Twain "the father of American literature". 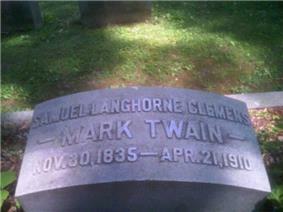 Samuel Langhorne Clemens was born in the city of Florida, Missouri, on November 30, 1835. He was the son of Jane (née Lampton; 1803–1890), a native of Kentucky, and John Marshall Clemens (1798–1847), a Virginian by birth. His parents met when his father moved to Missouri and were married several years later, in 1823. He was the sixth of seven children, but only three of his siblings survived childhood: his brother Orion (1825–1897); Henry, who died in a riverboat explosion (1838–1858); and Pamela (1827–1904). His sister Margaret (1833–1839) died when he was three, and his brother Benjamin (1832–1842) died three years later. Another brother, Pleasant (1828–1829), died at six months. Twain was born two weeks after the closest approach to Earth of Halley's Comet. When he was four, Twain's family moved to Transcontinental Railroad. It delivered mail to and from the Pony Express. In 1847, when Twain was 11, his father died of pneumonia. The next year, he became a printer's apprentice. In 1851, he began working as a typesetter and contributor of articles and humorous sketches for the Hannibal Journal, a newspaper owned by his brother Orion. When he was 18, he left Hannibal and worked as a printer in New York City, Philadelphia, St. Louis, and Cincinnati. He joined the newly formed International Typographical Union, the printers union, and educated himself in public libraries in the evenings, finding wider information than at a conventional school. Clemens came from St. Louis on the packet Keokuk in 1854 and lived in Muscatine during part of the summer of 1855. The Muscatine newspaper published eight stories, which amounted to almost 6,000 words. Twain describes in Life on the Mississippi how, when he was a boy, "there was but one permanent ambition" among his comrades: to be a steamboatman. "Pilot was the grandest position of all. The pilot, even in those days of trivial wages, had a princely salary – from a hundred and fifty to two hundred and fifty dollars a month, and no board to pay." As Twain described it, the pilot's prestige exceeded that of the captain. The pilot had to "get up a warm personal acquaintanceship with every old snag and one-limbed cottonwood and every obscure wood pile that ornaments the banks of this river for twelve hundred miles; and more than that, must ... actually know where these things are in the dark..." Steamboat pilot Horace E. Bixby took on Twain as a "cub" pilot to teach him the river between New Orleans and St. Louis for $500, payable out of Twain's first wages after graduating. Twain studied the Mississippi, learning its landmarks, how to navigate its currents effectively, and how to "read the river" and its constantly shifting channels, reefs, submerged snags and rocks that would "tear the life out of the strongest vessel that ever floated". It was more than two years before he received his steamboat pilot license, in 1859. This occupation gave him his pen name, Mark Twain, from "mark twain", the leadsman's cry for a measured river depth of two fathoms, which was safe water for a steamboat. While training, Samuel convinced his younger brother Henry to work with him. Henry was killed on June 21, 1858, when the steamboat he was working on, the Pennsylvania, exploded. Twain had foreseen this death in a dream a month earlier,:275 which inspired his interest in parapsychology; he was an early member of the Society for Psychical Research. Twain was guilt-stricken and held himself responsible for the rest of his life. He continued to work on the river and was a river pilot until the American Civil War broke out in 1861 and traffic along the Mississippi was curtailed. At the start of the Civil War, Twain enlisted briefly in a Confederate local unit. He then left for Nevada to work for his brother, Orion Clemens, who was Secretary of the Nevada Territory, which Twain describes in his book, Roughing It. Twain later wrote a sketch, "The Private History of a Campaign That Failed", which told how he and his friends had been Confederate volunteers for two weeks before disbanding their company. Twain's journey ended in the silver-mining town of Virginia City, Nevada, where he became a miner on the Comstock Lode. Twain failed as a miner and worked at a Virginia City newspaper, the Territorial Enterprise. Working under writer and friend Dan DeQuille, here he first used his pen name. On February 3, 1863, he signed a humorous travel account "Letter From Carson – re: Joe Goodman; party at Gov. Johnson's; music" with "Mark Twain". His experiences in the American West inspired Roughing It and his experiences in Angels Camp, California, in Calaveras County, provided material for "The Celebrated Jumping Frog of Calaveras County". 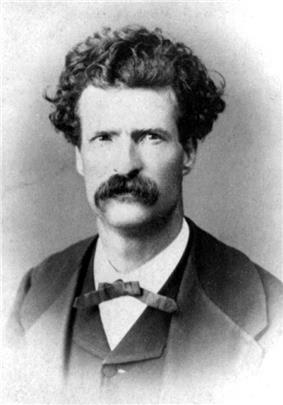 Twain moved to San Francisco, in 1864, still as a journalist. He met writers such as Bret Harte and Artemus Ward. The young poet Ina Coolbrith may have romanced him. His first success as a writer came when his humorous tall tale, "The Celebrated Jumping Frog of Calaveras County", was published in a New York weekly, The Saturday Press, on November 18, 1865. It brought him national attention. A year later, he traveled to the Sandwich Islands (present-day Hawaii) as a reporter for the Sacramento Union. His travelogues were popular and became the basis for his first lectures. In 1867, a local newspaper funded a trip to the Mediterranean. During his tour of Europe and the Middle East, he wrote a popular collection of travel letters, which were later compiled as The Innocents Abroad in 1869. It was on this trip that he met his future brother-in-law, Charles Langdon. Both were passengers aboard the Quaker City on their way to the Holy Land. Langdon showed a picture of his sister Olivia to Twain; Twain claimed to have fallen in love at first sight. Upon returning to the United States, Twain was offered honorary membership in the secret society Scroll and Key of Yale University in 1868. Its devotion to "fellowship, moral and literary self-improvement, and charity" suited him well. Throughout 1868, Twain and Olivia Langdon corresponded, but she rejected his first marriage proposal. Two months later, they were engaged. In February 1870, Twain and Langdon were married in Elmira, New York, where he had courted her and had overcome her father's initial reluctance. She came from a "wealthy but liberal family", and through her, he met abolitionists, "socialists, principled atheists and activists for women's rights and social equality", including Harriet Beecher Stowe (his next-door neighbor in Hartford, Connecticut), Frederick Douglass, and the writer and utopian socialist William Dean Howells, who became a long-time friend. The couple lived in Buffalo, New York, from 1869 to 1871. Twain owned a stake in the Buffalo Express newspaper and worked as an editor and writer. While they were living in Buffalo, their son Langdon died of diphtheria at age 19 months. They had three daughters: Susy (1872–1896), Clara (1874–1962) and Jean (1880–1909). The couple's marriage lasted 34 years, until Olivia's death in 1904. All of the Clemens family are buried in Elmira's Woodlawn Cemetery. Twain moved his family to Hartford, Connecticut, where starting in 1873 he arranged the building of a home. In the 1870s and 1880s, Twain and his family summered at Quarry Farm, the home of Olivia's sister, Susan Crane. In 1874, Susan had a study built apart from the main house so that her brother-in-law would have a quiet place in which to write. 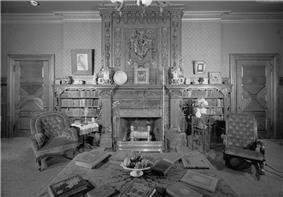 Also, Twain smoked pipes constantly, and Susan Crane did not wish him to do so in her house. 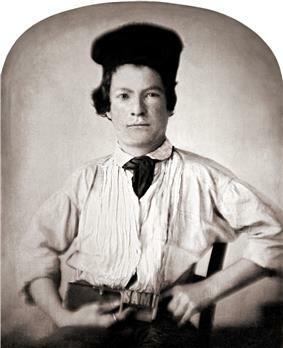 During his seventeen years in Hartford (1874–1891) and over twenty summers at Quarry Farm, Twain wrote many of his classic novels, among them The Adventures of Tom Sawyer (1876), The Prince and the Pauper (1881), Life on the Mississippi (1883), Adventures of Huckleberry Finn (1885) and A Connecticut Yankee in King Arthur's Court (1889). Twain made a second tour of Europe, described in the 1880 book A Tramp Abroad. His tour included a stay in Heidelberg from May 6 until July 23, 1878, and a visit to London. His book A Connecticut Yankee in King Arthur's Court features a time traveler from the contemporary US, using his knowledge of science to introduce modern technology to Arthurian England. This type of storyline would later become a common feature of a science fiction sub-genre, alternate history. In 1909, Thomas Edison visited Twain at his home in Redding, Connecticut, and filmed him. Part of the footage was used in The Prince and the Pauper (1909), a two-reel short film. It is said to have been the only known existing film footage of Twain. Twain made a substantial amount of money through his writing, but he lost a great deal through investments, mostly in new inventions and technology, particularly the Paige typesetting machine. It was a beautifully engineered mechanical marvel that amazed viewers when it worked, but it was prone to breakdowns. Twain spent $300,000 (equal to $8,200,000 in inflation-adjusted terms ) on it between 1880 and 1894; but, before it could be perfected, it was made obsolete by the Linotype. He lost not only the bulk of his book profits but also a substantial portion of his wife's inheritance. Twain also lost money through his publishing house, Charles L. Webster and Company, which enjoyed initial success selling the memoirs of Ulysses S. Grant, but went broke soon after, losing money on a biography of Pope Leo XIII; fewer than two hundred copies were sold. Reacting to the dwindling income Twain and his family closed down their expensive Hartford home and moved to Europe in June 1891. William M. Laffan of the New York Sun and the McClure Newspaper Syndicate had offered Twain the publication of a series of six European letters. In addition, considering the health problems troubling Twain, his wife and their daughter Susy, it was believed visiting European baths would be of benefit. Until May 1895 the family stayed mainly in France, Germany and Italy with longer spells at Berlin(winter 1891/92), Florence(fall and winter 1892/93) and Paris(winters and springs 1893/94 and 1894/95). During that period Twain went four times back to New York due to his enduring business troubles. Arriving in September 1893 he took a cheap room at $1.50 per day at The Players which he had to keep until March 1894 meanwhile becoming The Belle of New York. Twain's writings and lectures, combined with the help of a new friend, enabled him to recover financially. In fall 1893, he began a 15-year-long friendship with financier Henry Huttleston Rogers, a principal of Standard Oil. Rogers first made Twain file for bankruptcy in April 1894. Then, Rogers had Twain transfer the copyrights on his written works to his wife, Olivia, to prevent creditors from gaining possession of them. Finally, Rogers took absolute charge of Twain's money until all the creditors were paid. Twain accepted an offer from Robert Sparrow Smythe and embarked on a year-long, around-the-world lecture tour in July 1895 to pay off his creditors in full, although he was no longer under any legal obligation to do so. It would be a long, arduous journey and he was sick much of the time, mostly from a cold and a carbuncle. The first part of the itinerary, until the second half of August, took him across Northern America to British Columbia, Canada. For the second part he sailed across the Pacific Ocean. His scheduled lecture in Honolulu, Hawaii had to be cancelled due to a cholera epidemic. Twain went on to Fiji, Australia, New Zealand, Sri Lanka, India, Mauritius, and South Africa. Twain's three months in India became the centerpiece of his 712-page book Following the Equator. In the second half of July 1896 he sailed back to England where the Clemenses left for America fourteen months before. Twain and his family spent four more years in Europe, mainly in England and Austria(October 1897 until May 1899) with longer spells at London and Vienna. Clara had wished to study piano under Theodor Leschetizky in Vienna. Unfortunately Jean's health did not benefit from consulting with specialists in Vienna, the "City of Doctors". Following a lead by Poultney Bigelow the Clemens family moved to London in spring 1899. Bigelow had good experience being treated by Dr. Jonas Henrik Kellgren (sv), an Swedish osteopathic practitioner with a practice in Belgravia. There they were persuaded to spend the summer at Kellgren's sanatorium by the lake in the Swedish village of Sanna. Coming back in fall the treatment was continued in London until Twain was convinced by lengthy inquiries in America that similar osteopathic expertise was available there. In mid-1900, he was the guest of newspaper proprietor Hugh Gilzean-Reid at Dollis Hill House, located on the north side of London, UK. In regard to Dollis Hill, Twain wrote that he had "never seen any place that was so satisfactorily situated, with its noble trees and stretch of country, and everything that went to make life delightful, and all within a biscuit's throw of the metropolis of the world." He then returned to America in October 1900, having earned enough to pay off his debts. In winter 1900/01 Twain became his country's most prominent opponent of imperialism raising the issue in his speeches, interviews and writings. In January 1901 he began serving as vice-president of the Anti-Imperialist League of New York. Twain was in-demand as a featured speaker, performing solo humorous talks, similar to what would become comedy. He gave paid talks to many men's clubs, including the Authors' Club, Beefsteak Club, Vagabonds, White Friars, and Monday Evening Club of Hartford. In the late 1890s, he spoke to the Savage Club in London and was elected honorary member. When told that only three men had been so honored, including the Prince of Wales, he replied "Well, it must make the Prince feel mighty fine." In 1897, Twain spoke to the Concordia Press Club in Vienna as a special guest, following diplomat Charlemagne Tower, Jr. In German, to the great amusement of the assemblage, Twain delivered the speech "Die Schrecken der deutschen Sprache" ("The Horrors of the German Language"). In 1901, Twain was invited to speak at Princeton University's Cliosophic Literary Society, where he was made an honorary member. Other authors to fall under Twain's attack during this time period (beginning around 1890 until his death) were Villa di Quarto in Florence; and, after an appropriate period of time, Twain allowed himself to publish some works that his wife, a de facto editor and censor throughout his life, had looked down upon. Of these works, The Mysterious Stranger, depicting various visits of Satan to the Earth, is perhaps the best known. This particular work was not published in Twain's lifetime. There were three versions found in his manuscripts, made between 1897 and 1905: the Hannibal, Eseldorf, and Print Shop versions. Confusion among the versions led to an extensive publication of a jumbled version, and only recently have the original versions as Twain wrote them become available. Before 1899, Twain was an ardent Moro Crater Massacre, in which six hundred Moros were killed. Many of his neglected and previously uncollected writings on anti-imperialism appeared for the first time in book form in 1992. During the Philippine-American War, Twain wrote a short pacifist story entitled The War Prayer, which makes the point that humanism and Christianity's preaching of love are incompatible with the conduct of war. It was submitted to Harper's Bazaar for publication, but on March 22, 1905, the magazine rejected the story as "not quite suited to a woman's magazine". 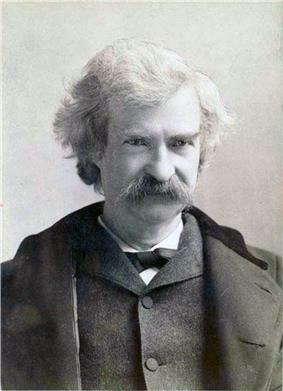 Eight days later, Twain wrote to his friend Daniel Carter Beard, to whom he had read the story, "I don't think the prayer will be published in my time. None but the dead are permitted to tell the truth." 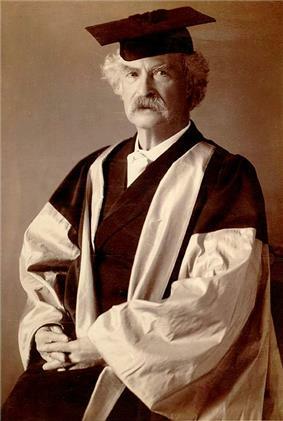 Because he had an exclusive contract with Harper & Brothers, Twain could not publish The War Prayer elsewhere; it remained unpublished until 1923. It was republished as campaigning material by Vietnam War protesters. Although Twain was a  Nonetheless, as a mature adult he engaged in religious discussions and attended services, his theology developing as he wrestled with the deaths of loved ones and his own mortality. His own experiences and suffering within his family made him particularly critical of "faith healing", such as that espoused by Mary Baker Eddy and Christian Science. Twain generally avoided publishing his most heretical opinions on religion in his lifetime, and they are known from essays and stories that were published later. In the essay Three Statements of the Eighties in the 1880s, Twain stated that he believed in an almighty God, but not in any messages, revelations, holy scriptures such as the Bible, Providence, or retribution in the afterlife. He did state that "the goodness, the justice, and the mercy of God are manifested in His works", but also that "the universe is governed by strict and immutable laws", which determine "small matters", such as who dies in a pestilence. At other times he wrote or spoke in ways that contradicted a strict deist view, for example, plainly professing a belief in Providence. In some later writings in the 1890s, he was less optimistic about the goodness of God, observing that "if our Maker is all-powerful for good or evil, He is not in His right mind". At other times, he conjectured sardonically that perhaps God had created the world with all its tortures for some purpose of His own, but was otherwise indifferent to humanity, which was too petty and insignificant to deserve His attention anyway. Twain's story about his pen name has been questioned by biographer George Williams III, the Territorial Enterprise newspaper, and Purdue University's Paul Fatout. The claim is that "mark twain" refers to a running bar tab that Twain would regularly incur while drinking at John Piper's saloon in Virginia City, Nevada. Twain's legacy lives on today as his namesakes continue to multiply. Several schools are named after him, including Mark Twain Elementary School in Wheeling, Illinois, and Mark Twain Elementary School in Houston, Texas, which has a statue of Twain sitting on a bench. There is also Mark Twain Intermediate School in New York. There are several schools named Mark Twain Middle School in different states, as well as Samuel Clemens High School in Schertz, near San Antonio, Texas. There are also other structures, such as the Mark Twain Memorial Bridge. Mark Twain Village is a United States Army installation located in the Südstadt district of Heidelberg, Germany. It is one of two American bases in the United States Army Garrison Heidelberg that house American soldiers and their families (the other being Patrick Henry Village). Awards in his name proliferate. In 1998, The John F. Kennedy Center for the Performing Arts created the Mark Twain Prize for American Humor, awarded annually. 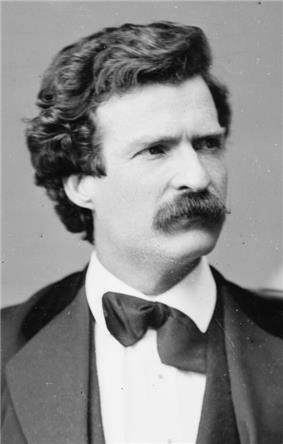 The Mark Twain Award is an award given annually to a book for children in grades four through eight by the Missouri Association of School Librarians. Stetson University in DeLand, Florida sponsors the Mark Twain Young Authors' Workshop each summer in collaboration with the Mark Twain Boyhood Home & Museum in Hannibal. The program is open to young authors in grades five through eight. 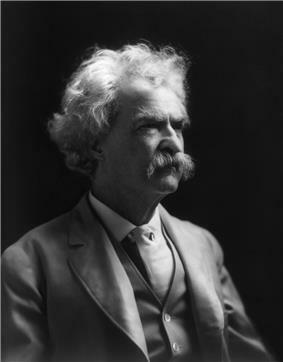 The museum sponsors the Mark Twain Creative Teaching Award. Buildings associated with Twain, including some of his many homes, have been preserved as museums. His birthplace is preserved in Florida, Missouri. The Mark Twain Boyhood Home & Museum in Hannibal, Missouri preserves the setting for some of the author's best known work. The home of childhood friend Laura Hawkins, said to be the inspiration for his fictional character Becky Thatcher, is preserved as the "Thatcher House". In May 2007, a painstaking reconstruction of the home of Tom Blankenship, the inspiration for Huckleberry Finn, was opened to the public. The family home he had built in Hartford, Connecticut, where he and his wife raised their three daughters, is preserved and open to visitors as the Mark Twain House. Asteroid 2362 Mark Twain was named after him. On December 4, 1985, the United States Postal Service issued a stamped envelope for "Mark Twain and Halley's Comet", noting the connection with Twain's birth, his death, and the comet. On June 25, 2011, the Postal Service released a Forever stamp in his honor. 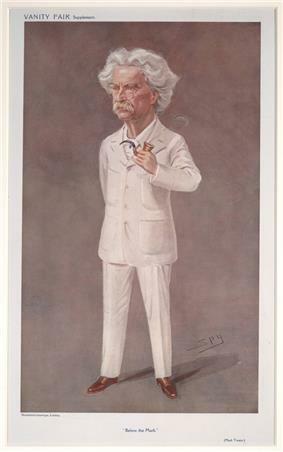 Twain is often depicted wearing a white suit. While there is evidence that suggests that, after Livy's death in 1904, Twain began wearing white suits on the lecture circuit, modern representations suggesting that he wore them throughout his life are unfounded. However, there is evidence showing him wearing a white suit before 1904. In 1882, he sent a photograph of himself in a white suit to 18-year-old Edward W. Bok, later publisher of the Ladies Home Journal, with a handwritten dated note on verso. It did eventually become his trademark, as illustrated in anecdotes about this eccentricity (such as the time he wore a white summer suit to a Congressional hearing during the winter). McMasters' The Mark Twain Encyclopedia states that Twain did not wear a white suit in his last three years, except at one banquet speech. Actor Hal Holbrook created a one-man show called Mark Twain Tonight, which he has performed regularly for about 60 years. The broadcast by CBS in 1967 won him an Emmy Award. Of the three runs on Broadway (1966, 1977, and 2005), the first won him a Tony Award. Twain was portrayed by Fredric March in the 1944 film The Adventures of Mark Twain. He was later brought to life by James Whitmore in the (similarly titled) 1985 Will Vinton Claymation film The Adventures of Mark Twain. In the two-part Star Trek: The Next Generation episode, "Time's Arrow Pt. 1 & 2", the crew of the starship Enterprise pursues malevolent alien lifeforms through a time portal to 1893 San Francisco, where their secretive actions arouse the suspicions of Samuel Clemens as played by Jerry Hardin. ^ "The Mark Twain House Biography". Archived from the original on October 16, 2006. Retrieved 2006-10-24. ^ "Mark Twain remembered by Google with a doodle". ^ , illustrated by F. Strothman, New York and London, Harper & Brothers, Publishers, MCMIII, pp. 64–66The Jumping Frog: In English, Then in French, and Then Clawed Back into a Civilized Language Once More by Patient, Unremunerated ToilMark Twain, . ^ "Obituary (New York Times)". Retrieved 2009-12-27. ^ "Mark Twain's Family Tree" (PDF). Retrieved 2007-01-01. ^ "Mark Twain, American Author and Humorist". Retrieved 2006-10-25. ^ Lindborg, Henry J. Adventures of Huckleberry Finn. Archived from the original on November 1, 2009. Retrieved 2006-11-11. ^ "Mark Twain quotations – father – John Marshall Clemens". Twainquotes.com. Retrieved 2010-12-30. ^ "The Hannibal and Saint Joseph Railroad". Abandoned Rails. October 8, 2010. Retrieved 2010-12-30. ^ "John Marshall Clemens". State Historical Society of Missouri. Retrieved 2007-10-29. ^ Clark, Daniel G. (January 14, 2002). "Betwixt and be Twain". Muscatinejournal.com. Retrieved 2012-02-07. ^ "Journal editorial: That other famous Muscatine resident". Muscatinejournal.com. February 25, 2010. Retrieved 2012-02-07. ^ Smith, Harriet Elinor, ed. (2010). Autobiography of Mark Twain: Volume 1. ^ For a further account of Twain's involvement with parapsychology, see Blum, Deborah, Ghost Hunters: William James and the Search for Scientific Proof of Life After Death" (Penguin Press, (2006). ^ J.r. Lemaster (1993). The Mark Twain Encyclopedia. Taylor & Francis. p. 147. ^ a b "Mark Twain Biography". The Hannibal Courier-Post. Retrieved 2008-11-25. ^ The Virtual Museum of the City of San Francisco. Samuel Dickson. .Isadora Duncan (1878–1927) Retrieved on July 9, 2009. 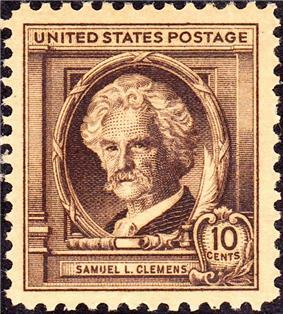 ^ a b "Samuel Clemens". PBS:The West. Retrieved 2007-08-25. ^ Mark Twain, Edgar Marquess Branch, Michael B. Frank, Kenneth M. Sanderson (January 1, 1990). Mark Twain's Letters: 1867–1868. Books.google.com. ^ "Concerning Mark Twain". The Week : a Canadian journal of politics, literature, science and arts 1 (11): 171. February 14, 1884. Retrieved April 26, 2013. ^ a b c d e f Scott, Helen (Winter 2000). "International Socialist Review" 10. pp. 61–65. ^ a b "Twain's Home in Elmira". ^ J. Niemann, Paul (November 2004). Invention Mysteries (Invention Mysteries Series). Horsefeathers Publishing Company. pp. 53–54. ^ Gonzalez, Robert. 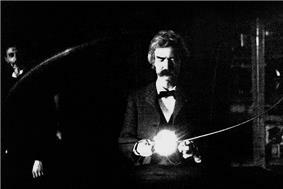 "The only existing video footage of Mark Twain, as filmed by Thomas Edison". io9. Retrieved December 7, 2013. ^ "Mark Twain House website – Paige Compositor page". Marktwainhouse.org. Retrieved 2010-12-30. ^ Albert Bigelow Paine. "Mark Twain, A Biography, Chapter CLXXV(175): "The Claimant"—Leaving Hartford". Retrieved November 25, 2014. ^ Albert Bigelow Paine. "Mark Twain, A Biography, Chapters CLXXVI(176) to CXC(190)". Retrieved November 25, 2014. ^ Albert Bigelow Paine. "Mark Twain, A Biography, Chapter CLXXXVIII(188): Failure". Retrieved November 25, 2014. ^ Shillingsburg, M. "Smythe, Robert Sparrow (1833–1917)". ^ Rasmussen, R. Kent (2007). Critical Companion to Mark Twain: A Literary Reference to His Life and Work. New York: Facts on File. p. 723. ^ Albert Bigelow Paine. """Mark Twain, A Biography, Chapter Chapter CXCII(188): "Following the Equator. Retrieved November 30, 2014. ^ Albert Bigelow Paine. "Mark Twain, A Biography, Chapters CXCIV(194) to CCXI(211)". Retrieved November 30, 2014. ^ "History of Dollis Hill House". Dollis Hill House Trust. 2006. Retrieved 2007-07-03. ^ "Mark Twain at Princeton". Twainquotes.com. Retrieved 2013-12-07. ^ "The Mark Twain House". Archived from the original on October 16, 2006. Retrieved 2006-11-17. ^ Albert Bigelow Paine. "Mark Twain, a Biography". Retrieved 2006-11-01. ^ "Mark Twain is Dead at 74. End Comes Peacefully at His New England Home After a Long Illness.". The New York Times. April 22, 1910. ^ "Mark Twain's funeral". Twainquotes.com. Retrieved 2008-12-04. ^ "Elmira Travel Information". Go-new-york.com. Retrieved 2010-12-30. ^ Baskin, R. N. (Robert Newton); Madsen, Brigham D. (2006). Reminiscences of early Utah : with, Reply to certain statements by O. F. Whitne. Salt Lake City: Signature Books. p. 281. ^ Gary Scharnhorst, ed. (November 28, 2010). Twain in His Own Time: A Biographical Chronicle of His Life, Drawn from Recollections, Interviews, and Memoirs by Family, Friends, and Associates. Writers in Their Own Time (first ed.) (University of Iowa Press). p. 290. ^ DeQuille, Dan; Twain, Mark (July 1893). "Reporting With Mark Twain". The Californian Illustrated Magazine. ^ "The Sagebrush School Nevada Writers Hall of Fame 2009". ^ "American Experience – People & Events: Samuel Langhorne Clemens, 1835–1910". PBS. Retrieved 2007-11-28. ^ Feinstein, George W (January 1948). "Twain as Forerunner of Tooth-and-Claw Criticism". Modern Language Notes 63 (1): 49–50. ^ Schuessler, Jennifer. "Hardcover Nonfiction – List". NY Times. ^ Murray, Stuart A. P. "The Library: An Illustrated History”, New York: Skyhorse Publishing, 2012, p. 189. ^ "Mark Twain Home, An Anti-Imperialist". ^ Adam Hochschild (1998). King Leopold's ghost : a story of greed, terror, and heroism in colonial Africa. Houghton Mifflin. ^ "Mark Twain, Indian Hater". Blue Corn Comics. May 28, 2001. Retrieved 2008-07-09. ^ "The Votes for Women Speech by Mark Twain". Famousquotes.me.uk. May 25, 2007. Retrieved 2009-10-16. ^ "Mark Twain Quotations – Vivisection". Retrieved 2006-10-24. ^ Huberman, Jack (2007). The Quotable Atheist. Nation Books. pp. 303–304. ^ "Church Aided by Twain Is in a Demolition Dispute". The New York Times. ^ "Grand Master of Missouri Lecture". ^ "Mark Twain Masonic Awareness Award: About The Award". ^ "Matthew 27:51 at that moment the curtain of the temple was torn in two from top to bottom. The earth shook, the rocks split". Bible.cc. Retrieved 2013-12-07. ^ Williams, III, George (1999). "Mark Twain Leaves Virginia City for San Francisco". Mark Twain and the Jumping Frog of Calaveras County: How Mark Twain's humorous frog story launched his legendary career. Tree by the River Publishing. ^ "Origin of Twain's Name Revealed". Territorial-enterprise.com. Retrieved 2010-12-30. ^ "Mark Twain's Nom de Plume." American Literature, v 34, n 1 (March 1962), pp 1–7. doi:10.2307/2922241. ^ The First Annual Mark Twain Young Authors Workshop. Stetson University. ^ "The Mark Twain Boyhood Home Museum: Education". 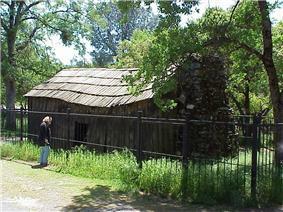 Marktwainmuseum.org. Retrieved 2013-12-07. ^ Allen Pierleoni (June 26, 2011). "Postal Service unveils a Forever stamp of Mark Twain". ^ Lemaster, J. R; Wilson, James Darrell; Hamric, Christie Graves (1993). The Mark Twain encyclopedia. Books.google.com. ^ Malia Wollan (January 24, 2011). "Mark Twain. Now a Career for the Mustachioed". New York Times. ... has played Twain going on 57 years, longer than Samuel Langhorne Clemens did. Radavich, David. "Twain, Howells, and the Origins of Midwestern Drama", MidAmerica XXXI (2004): 25–42. In 1872, Twain published a second piece of travel literature, Roughing It, as a semi-sequel to Innocents. Roughing It is a semi-autobiographical account of Twain's journey from Missouri to Nevada, his subsequent life in the American West, and his visit to Hawaii. The book lampoons American and Western society in the same way that Innocents critiqued the various countries of Europe and the Middle East. Twain's next work kept Roughing It's focus on American society but focused more on the events of the day. Entitled The Gilded Age: A Tale of Today, it was not a travel piece, as his previous two books had been, and it was his first attempt at writing a novel. The book is also notable because it is Twain's only collaboration; it was written with his neighbor, Charles Dudley Warner. A complete bibliography of his works is nearly impossible to compile because of the vast number of pieces written by Twain (often in obscure newspapers) and his use of several different pen names. Additionally, a large portion of his speeches and lectures have been lost or were not written down; thus, the collection of Twain's works is an ongoing process. Researchers rediscovered published material by Twain as recently as 1995. Officials in Connecticut and New York estimated the value of Twain's estate at $471,000 ($12,000,000 today); his manuscripts were given no monetary value, and his copyrights given little and decreasing value.